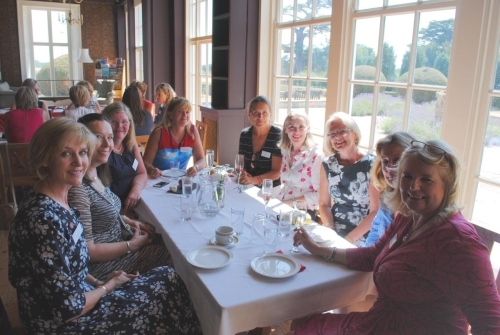 On a hot Sunday in July, we gathered back at QM to mark our ‘nearly 40 year’ reunion. For those who had left in 1978 after O Levels it was, of course, 40 years but for a few of us who stayed on for Lower or Upper Sixth Form it was not quite that, but we weren't going to be bothered by technicalities! Thirty one of us made it, coming from many corners of the world - Australia, South Africa, France, Northern Ireland, Scotland, London and of course Yorkshire. What a fantastic day we had - we laughed, we cried, we reminisced, we ate a lovely afternoon tea and drank Prosecco. The years fell away and we just picked up from the last time we had seen each other. In memory of three of our year group who have sadly died, Sophie Hudson (1975-1978), Sue Adamson (Slassor, 1974-1978) and Alison Jones (Crowther, 1975-1980) we planted a tree in the grounds. Our thanks must go to Alison Ruddick and Katie Harrison at QM for hosting such a wonderful and fantastic day for us - having had to listen to all the ‘It wasn't like this in our day’ comments and watching 56 year olds running up and down the Red Stairs they had to literally kick us out! We're not leaving it so long next time - the next one is planned for 2020.